Over 800 gifted students in grades 4-8 gather at Humboldt State University each January for a day of creative thinking and learning that extends well beyond core curriculum and compliments their individual talents. GATE Academy attendees are identified by their schools based on their abilities.The Academy features local professional presenters in a wide variety of subjects such as archaeology, drum making, engineering, and math mysteries for 4th-5th graders. 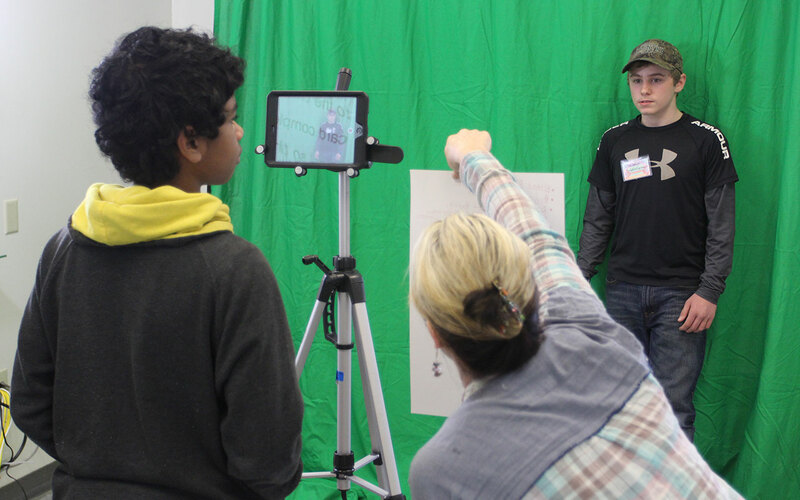 For 6th-8th graders, sessions can include movie making, compass and straight edge construction, and sketching. Beyond challenging students academically, the Academy also provides them a unique opportunity to interact with those from other schools who have similar talents and interests. Additionally, the Academy offers parents of gifted students a special session. The Gifted and Talented Education (GATE) program is coordinated by the Humboldt County Office of Education to assist districts in developing unique education opportunities for students in elementary and middle schools who have been identified as gifted. GATE Testing varies by school and could include the following. Education Code Section 52202 describes the intended process. GATE Coordinators in the county meet monthly September through February to share curriculum and other resources as well as to plan the annual GATE Academy. Please contact your school/district for information about GATE.